The Ph.D. – Nearly every summer for the past decade I’ve gone to Montreal to attend my favorite conferences, sponsored by the International Institute of Integral Human Sciences (IIIHS), which explores the frontiers of science, spirituality and culture. The event generally consists of two 3-day conferences with a 5-day College Week in between. Students of many cultural backgrounds have passed through the organization’s International College Program, enrolling in courses and workshops in Montreal and at affiliated colleges in various countries, attending the annual conferences, and taking educational and cultural tours to exotic lands. The worldly and other-worldly focus of IIIHS is right up my alley! 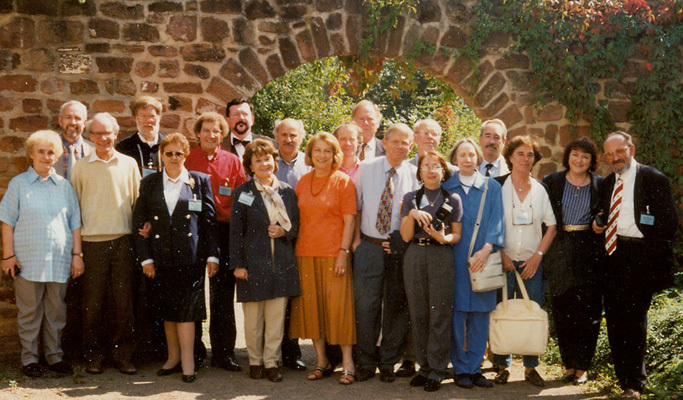 In 2003, the group’s founders arranged for me to receive a doctoral degree from an affiliated university in Sri Lanka. It’s an honorary Ph.D. awarded to me for my extensive research and writing over the years. The Award – In 2003 I shared the Swiss Prize for Epipsychology with my friends Jacques and Monique Blanc-Garin of France. That was for our research and writing in ITC (Instrumental Transcommunication), the use of technology to get in touch with the worlds of spirit. Are The Seven angels who spoke to our INIT group the same as the seven archangels of yore? The more I reflect on our experiences of our INIT group and the messages we received from The Seven (as I reported in our Contact! journal, especially the Fall 1996 issue), the more I’m inclined to believe that, yes, they are the same seven. This entry was posted in About Mark Macy, Heaven and Earth, ITC, Spiritual realms. Bookmark the permalink.